Do not open it before 2017 ! A classic Trévallon nose of mulberry, bramble and blackcurrant, with notes of flowers, meat, leather and citrus. The depth of fruit is immense, but the balance is nigh-on perfect, with juicy, citrussy acidity combining with super-ripe tannins in a wine which I find almost impossible to fault. 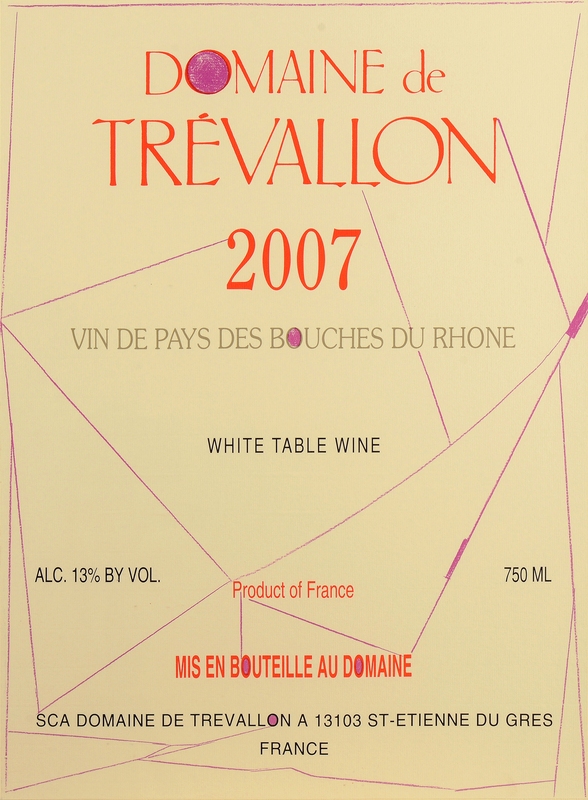 Trévallon is never velvety or soft - it is wild, herby, spicy and full of the flavours of Provence, but the 2007 is generous, yet focused, complex, beautifully structured and possessed of real finesse. One of the best Trévallons - if not the greatest - produced in the last 20 years, and I have no doubt that it will also be very long-lived. An absolute masterpiece. The 2007 was the best youthful vintage, already eminently drinkable with lovely a concentration of ripe and dark fruit. This has a much deeper colour than the 2009 and looks considerably younger. This dense, youthful, black wine has a fabulous nose of roasted barbecued meat with hints of straw and herbes de Provence. There is lots of fruit on the palate. This is a real powerhouse. Solid, chunky and with great depth and length. Certainly the best young Trevallon that I've tasted.